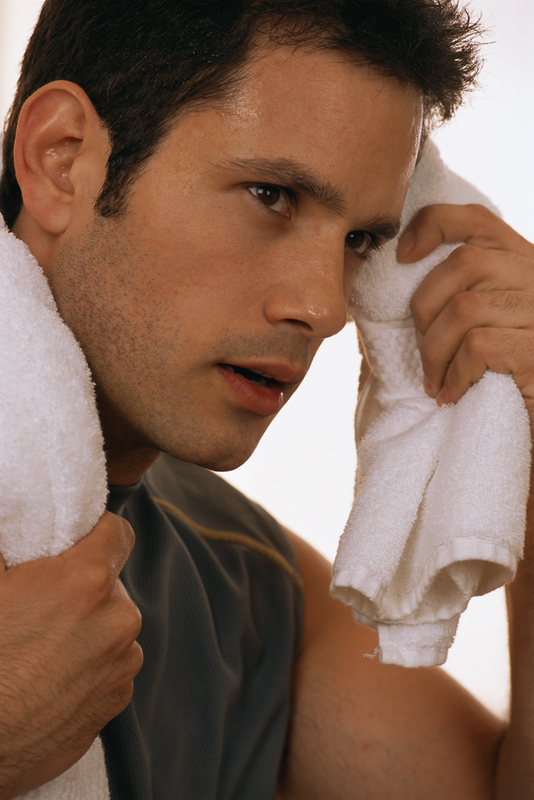 Tired of the same old routine at the gym? Make your fitness fun! Get on the stability ball and mix up your workout. 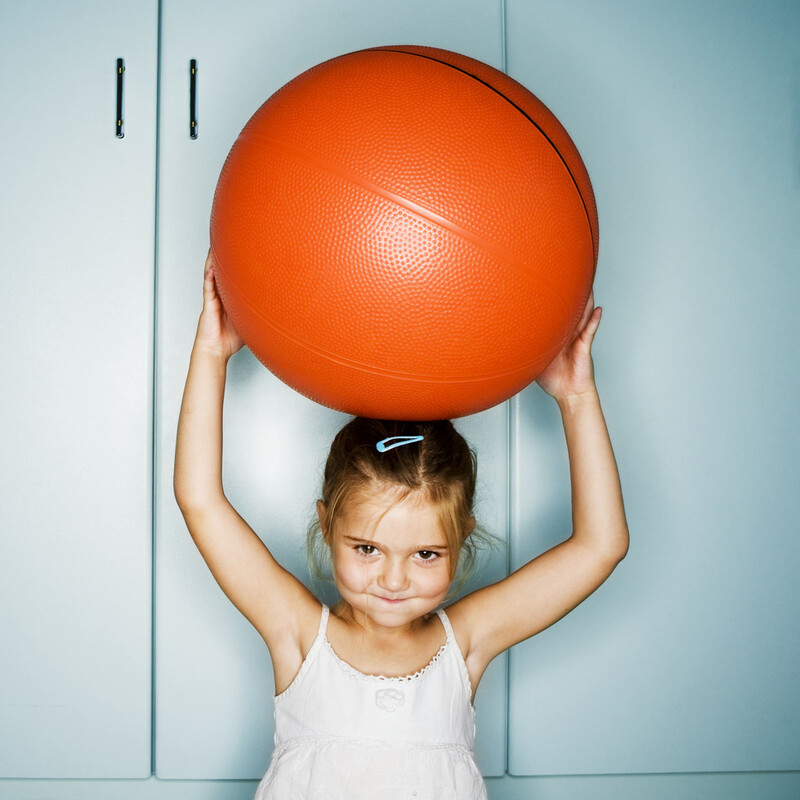 Exercising on the ball improves balance, posture, body awareness and coordination. Performing exercises on an unstable surface (the ball) recruits more muscles in the core to keep the torso steady (stabilization). Make sure the ball is the appropriate size for you. When sitting on the ball your thighs should be parallel or slightly below the hips. The following exercises are for intermediate exercisers and for those without muscle/joint concerns. Perform exercises at your own risk. Always consult your physician before performing exercises. Pull your belly button in towards your spine during each exercise. Standing Wall Squat- (strengthens the lower body). Place the ball against the wall positioned in your lower back area. Walk your feet slightly forward, keeping them about hip width apart. Perform a squat by bending your knees and allowing your hips to shift backward. Bend your knees until you feel tension in the front of your thighs, then return to a standing position. Do not let your knees travel in front of your toes. Repeat 12-15 times. Seated Row with Tubing- (strengthens your upper back). Sit on the ball. Pull your belly button in towards your spine and sit up tall. Extend your legs out in front of you, so only your heels are touching the floor. Wrap the tube around your feet and hold on to the handles. Pull your elbows into your body. Extend your arms to return to your starting position. Repeat 12-15 times. Incline Ab Curl- (strengthens the core). Sit on the ball, walk your body toward the floor until the ball is under your low back. Curl your trunk pulling your ribs down toward your hips. The ball should not move. Repeat 12-15 times. 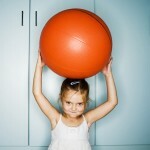 Enlist the help of a Fitness Professional to build a workout routine on the stability ball for you.